I was driving up the hill the other day when my cell phone rang. I almost never leave home without it, though it rarely rings or buzzes with a text. I was sold on the free bbm messaging while my daughter was away in Mexico and the turquoise blue, berry scented case it came with for free. But since she’s returned, my kids ask why I bother with the fifty bucks it costs every month. I can’t part with it though. It makes me feel relevant, connected and I’m a sucker for things that smell good. I didn’t recognize the number that came up on the screen of my berry scented blackberry that afternoon. In a split second, a myriad of scenarios rushed through my mind about picking up the call. Should I risk getting caught and ticketed while taking a crappy ‘congratulations, you’ve won a — ‘ sucker call? But what if it was one of my kids, calling from an unknown friend’s number, in a potential crisis? I grabbed the phone as I cornered at the light, hoping no cops were around. ‘This is the Office of the Registrar’, an official sounding voice told me from the other end. My heart lurched in giddy, sick anticipation. 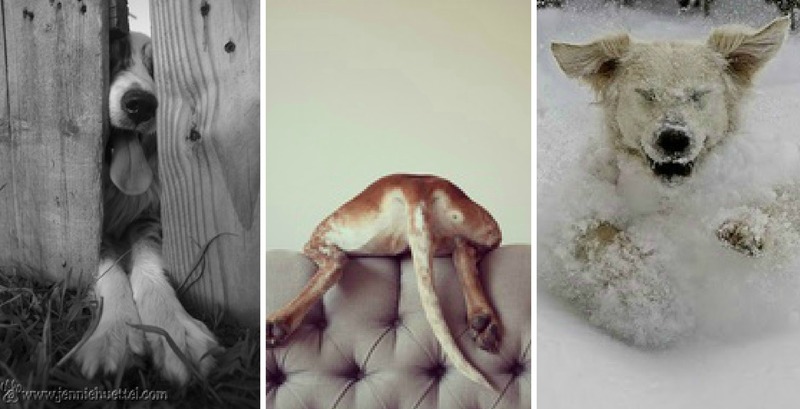 After turning in my portfolio last week – the portfolio I’d bled and freaked out over – I discovered, I’d accidentally applied into the General Arts, rather than Visual Arts program. My advisor had put in a request for transfer and wasn’t anticipating an issue. I’d barely thought of it since. I was pretty sure this was the do or die call of acceptance or not into the Visual Arts program based on my portfolio. ‘About your application transfer request – you missed the application deadline into the Visual Arts program and we’re unable to process your program transfer request’ she began. Her words sounded blunter, colder and more uncaring than perhaps they were. I pulled over to the side of the road, those words making their way in with sweeping disappointment. ‘You can reapply for admission and resubmit your portfolio for the 2014 session,’ she continued, handing me the consolation prize. It’s been a few days now since the call. I’ve more or less reorganized my thoughts, and the disappointment has more or less subsided. I can still continue my degree path, transferring courses later but there’s no actual title of ‘visual arts program student’ until next year. I know in the scheme of things, this is a minor glitch but I would have loved the validation of being accepted into the program, and my gosh, all that work and worry for nothing. Oh, how I wanted that ‘art student’ title… Is a rose by any other name as sweet? 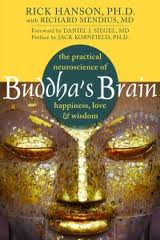 I’ve been reading an awesome book lately by Rick Hanson called Buddha’s Brain – The Practical Neuroscience of Happiness. Hanson is neuropsychologist, author, speaker and meditation teacher. His book isn’t about Buddhism as much as the intersection of psychology, brain science and contemplative practices. I discovered him on my friend Scott’s blog in the article I referred to above. I’m massively interested in brain science, because it gives concrete evidence and thus strategies for dealing with the nebulous emotional things of life. This has added to the foundation of CBT techniques I’ve been learning and practicing. Coming to understand the science of the brain and the inner universe has had as large an impact on my thinking as coming to understand the science of the physical world and the larger universe. 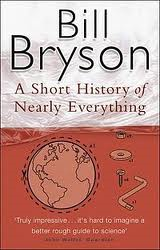 Bill Bryson has a great book called, ‘A Short History of Nearly Everything’, if that’s something you’re interested in exploring. I’ve spent over half of my life exploring christianity. I ‘found god’ at 24, married in to it, and it continues to impact me, though not always in positive ways. Although there are parts of it I love, there are also other parts that have stripped me of my ability to appreciate it overall. These past years, I’ve deconstructed my belief system and in doing so, have become a dissenter within the circle I once belonged. Sadly, in such circles, alternate views have little place. If you’ve ever stepped outside or challenged the belief system or code of conduct of a religious community, you’ll know what I mean. It usually involves at least a questioning of your character and faith, and often far more. As I’ve dissembled the thinking I once accepted, some big issues have come up. This is my philosophical shortlist, ignoring the other practical and relational impacts. – If there’s a benevolent god, interested and acting on my behalf in the minutiae of my daily life – why then is that god seemingly absent in the daily lives of people in far more extreme circumstance? – Would an all-knowing benevolent god insist we belong to an exclusive ‘club’ of understanding or would that god take in consideration our differing cultural and religious upbringings and sexual preferences? – Is truth really a narrow path or is it an encompassing one with room for the many positive contributions from other avenues of thought? – How, given the vast scientific evidence for the evolution of the world and it’s species, can religion blind itself to such findings? But perhaps most notably for me, is the question of how religion can claim to understand the complexities and mysteries of eternal life, when we can’t even comprehend the complexities and mysteries of this physical life. At least not yet. 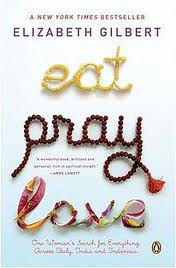 A few years ago, I was taken with the book, ‘Eat, Pray, Love’ which was later made into a movie. The movie was dismissed as a chick flick, a romantic comedy. At the best of times, I can barely endure chick flicks, but Elizabeth Gilbert’s story is more than that. It’s a memoir, a personal recount of her journey in, an awakening of sorts. Gilbert traveled a path of personal healing. faith and self discovery that began in Italy, progressed to India and concluded in Bali. Each of those parts of her life contributed to her evolving, broadening spiritual mosaic. I imagine her journey in continues still. The idea of a spiritual mosaic is new to me and in some ways makes me a little uneasy. It’s not the well-traveled road I’m familiar with, but I’m liking what I’m learning. I’m incorporating into my daily routine meditation, mindfulness and visualization – because they literally change the physiology and landscape of the brain toward peace, love and self-mastery. Whether they answer the existential question of what lies beyond, is still, well, a question. I have no idea what lies beyond this life. Is it jeweled streets? Is it the music of string theory? Is it one-ness with the universe? Is it nothing ? I don’t know. And neither does anyone else, no matter what authority they claim it upon. But I do know it’s within my power to live and love well. My youngest son asked me anxiously the other day, ‘Mom are you still a Christian?’ And honestly, I’m not sure I am, except by my own definition. Just as I’m an art student, a student of philosophy, religious studies, psychology, literature and science – by my own definition. Is that enough? Is a rose by any other name still as sweet? i stuck my nose yesterday into the very complex world of graphic design, trying to prepare for my second portfolio project. i googled ‘graphic design 101’ and was almost overcome by the scope of information. i’m seeing it’s one thing to recognize good design, another to understand and create it. i continue to be amazed that every facet of life and knowledge is a little universe of its own. the more i think i know, the more i realize how little i know. that i suppose, is the beauty and danger of knowledge. so today i’m stumped. 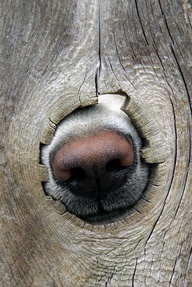 but rather than sit here musing, nose stuck in a knot hole, here’s some awesome dog pics instead. hope you have a very happy weekend!